Part of good farm animal welfare is ensuring standards apply to the entire lifecycle of the animal. Today, we’re going to cover lambing – the sheep world’s equivalent to birthing. And just like any other birth, lambing is no walk in the park. It can be filled with a lot of pushing, pulling, long nights, tired mommas, and cute babies. So, what makes a lambing season successful? Being in the right place at the right time makes all the difference. In the days leading up to lambing, pregnant ewes are often put in a pasture near the home ranch so they can be monitored more closely. Though it’s not very common, farmers might need to step in to reposition the lamb, if they can, and carefully help pull it out when a ewe is having difficulty giving birth. Most of the time though, ewes can lamb safely on their own. Lambs are usually born head first with their fore legs extended out in front of them, to ensure a smooth passage through the birth canal. After lambing, the new moms keep busy by cleaning the lambs and getting them on their feet for a nursing. Sometimes they need a helping hand with the newborns – if there is a weak lamb, it might need to be given extra care to make sure the lamb is dry, warm, and near its mother. It’s also important to make sure that all lambs, especially the weaker ones, receive colostrum after birth. This is the first milk produced by the ewe which contains special antibodies to boost the newborn’s immune system and protect it from disease. One of our GAP Animal Welfare Certified partners, Pozzi Ranch Lamb, have recently finished their winter lambing season. For them, there are several factors that contribute to lambing success, which starts by making sure the ewes are healthy and in good condition. 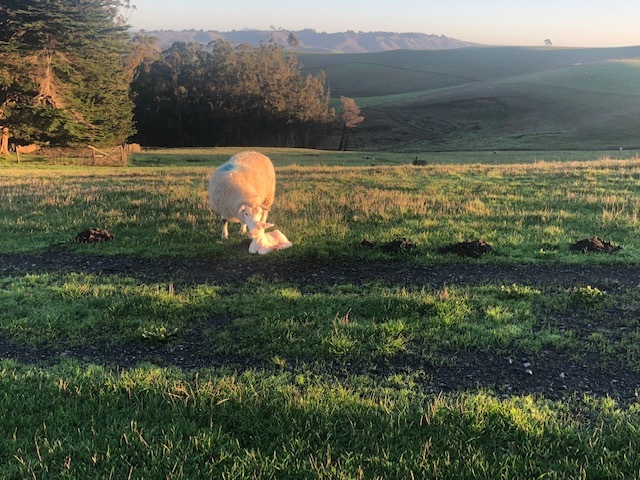 Prior to lambing, Pozzi Ranch worms their ewes for parasites, clips the wool around their udders to make sure that area stays clean, and puts them in special pastures that have been rested throughout the year to make sure the ewes get the best nutrients. The lambing pastures have a lot of open space for the ewes to move around, but they also have trees and barns in case the ewes need to seek shelter during bad weather. 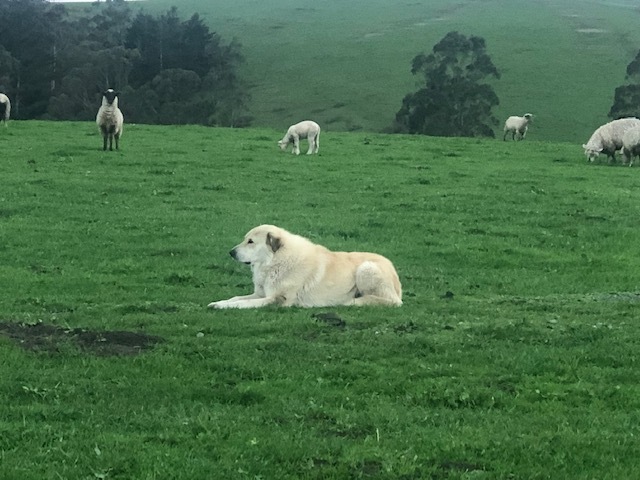 The flock is also kept safe by a guardian dog, making sure the ewes and their lambs are protected from predators. Unless the lambs need special attention, Pozzi Ranch knows that it is important to leave the new mommas alone with their newborns so they can bond, and the lambs can receive colostrum. Although a lot of time and energy goes into the lambing process, it’s all worth it in the end! Like this post? Let us know! To keep up-to-date with more posts like this, follow #GAPFarmLife on social media. If you’re a sheep rancher, let us know the key to a successful lambing season on your operation. Gabbi grew up as a ranch hand on her family’s farm in Michigan, where she developed her love for many species of farm animals, especially cattle and pigs, at an early age. She was tempted to go to vet school like others in her family, but ultimately decided studying animal behavior and management suited her better than medicine, as she wanted to pursue ways to work in farm animal welfare. She earned her Bachelor’s degree in Animal Sciences from Michigan State University and Master’s degree in Animal Biology from UC Davis, where she developed, tested, and applied a comprehensive welfare assessment for conventional cow-calf operations.